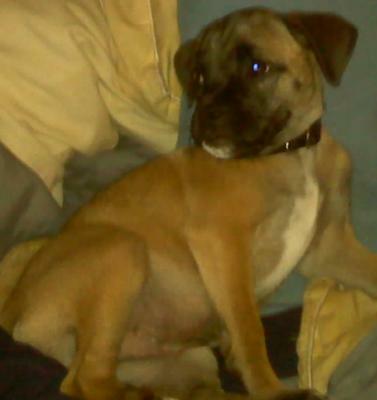 My adorable little Jug (jack terrier/pug mix) Arthas. 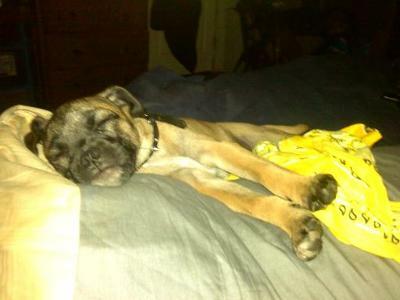 Meet my handome little Arthas he is a Jug, a jack russll/pug mix. Hanging on the bed relaxing after a LONG day of puppy play. He is 4 months old and he deff has the energy of a JRT! 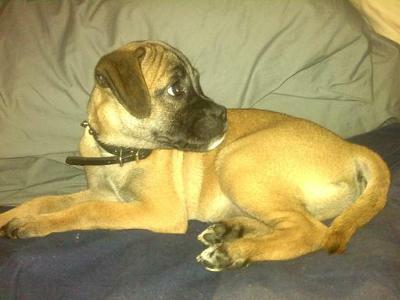 Comments for My adorable little Jug (jack terrier/pug mix) Arthas. 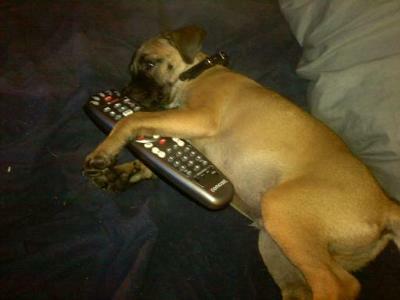 Lots of walks and running around the yard lol but he was quit sleepy. It's a rough life for a dog!